Trauma is the experience of an event by a person that is emotionally painful or distressful which can result in lasting mental and physical effects. Trauma is defined by the experience of the survivor. What is traumatic to one person may or may not be traumatic to another. Trauma can affect anyone. Find out if you or someone you know might be experiencing traumatic stress. The next time you see a child you think is out of control at the supermarket, stop yourself before saying, "What is wrong with that child?" Think twice before asking, “Why can't those parents control their child?” Instead ask, "What might have happened to that child?” Or maybe you know a child who seems quiet, withdrawn and almost too obedient to be true. Again ask, "What might have happened?” Could this child be depressed? Not all children who experience trauma will end up with out-of-control behaviors or depression. And not all behavioral and emotional problems in children are the result of trauma. But studies show that children who have been through one or more traumas may be misdiagnosed with ADHD, bipolar disorder, depression, anxiety and other mental illnesses. At the same time, the trauma might trigger a mental illness. Children who are hurt emotionally or physically and have no control over the situation can become very angry, sad, withdrawn or anxious. Their feelings of safety and protection may be gone. The emotional response can appear in many ways. 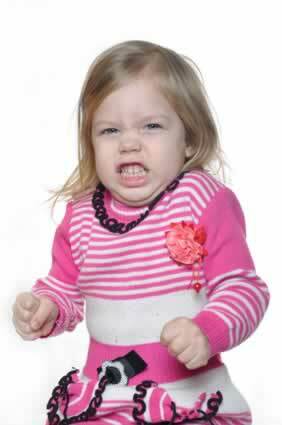 A child who builds up rage might act aggressively or violently towards others. 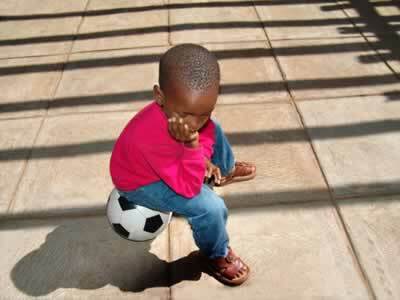 Another child might become so sad that the result is withdrawal from even favorite activities. Most adults might feel at least some power to control the situation after a traumatic experience. They can ask for help, vent to other adults or find advice to help them cope. But children experiencing trauma may not know how to reach out. They may feel helpless and not have the words to describe what they are feeling. Or they may think all children feel the way they do. Many times, adults simply cannot understand why some children are aggressive, defiant or have other negative behaviors. For example, take children who have been neglected or physically abused when they were young. Now they are in a wonderful, loving, safe situation. They have all the food they need, a roof over their heads and lots of toys. But suddenly they begin "stealing" food and hiding it in their rooms. Or they take money from their mom’s purse and hide it. The fear created by neglect and abuse can condition children to look out for themselves and take control of their own safety, even when there is no immediate danger. It can be hard for adults to connect the odd or frustrating behaviors with the trauma because years might go by before the behavior begins. But the trauma can build inside children even to adulthood. The types of events that young children find traumatic. The symptoms of post-traumatic stress. The ways to help children affected by trauma. Thank you to the National Child Traumatic Stress Network for much of the information found in this Web site. The National Child Traumatic Stress Network has some excellent resources to help you help the children in your life. This free, confidential, and multilingual crisis support service is available 24 hours a day, 7 days a week, and is also available via SMS—text "TalkWithUs" to 66746.